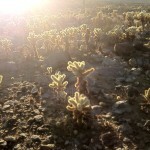 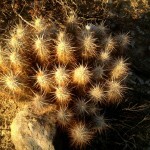 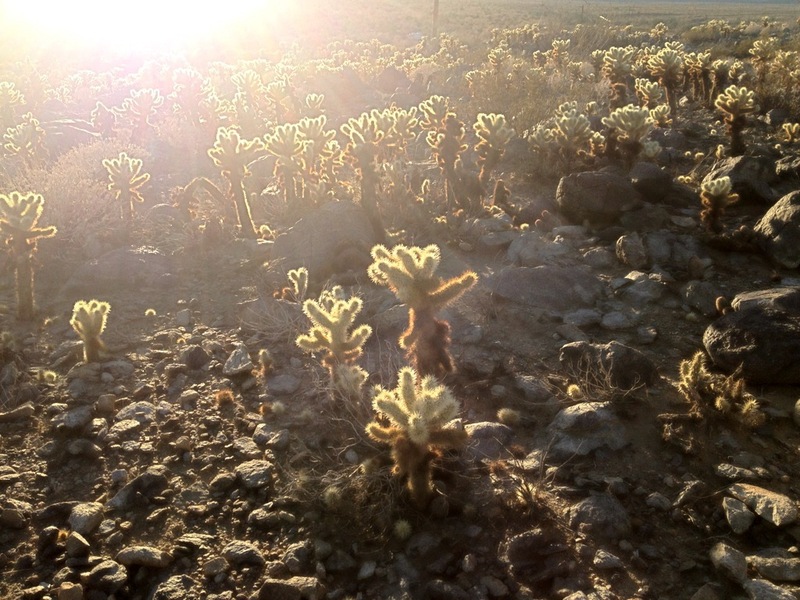 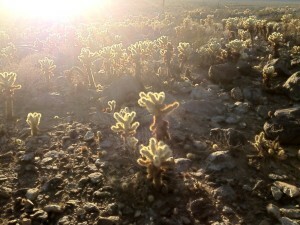 Cholla cacti on the Yaqui Well Trail. 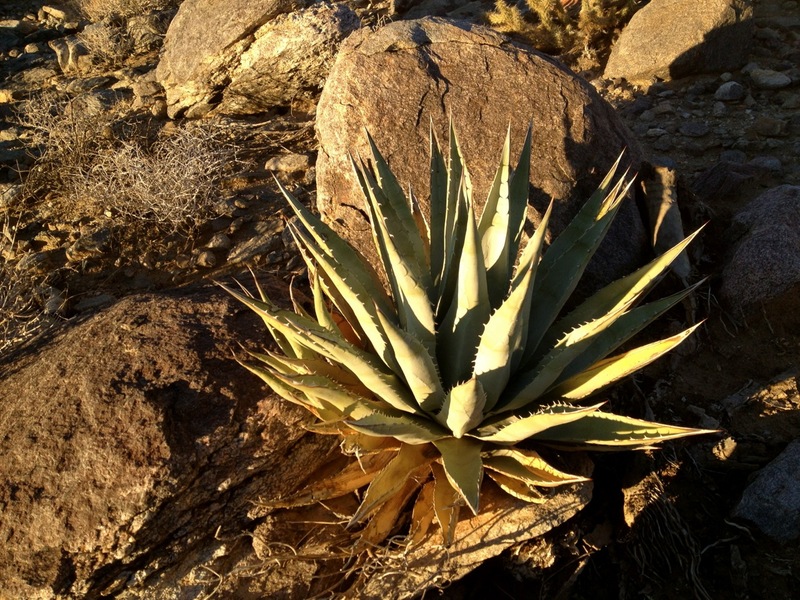 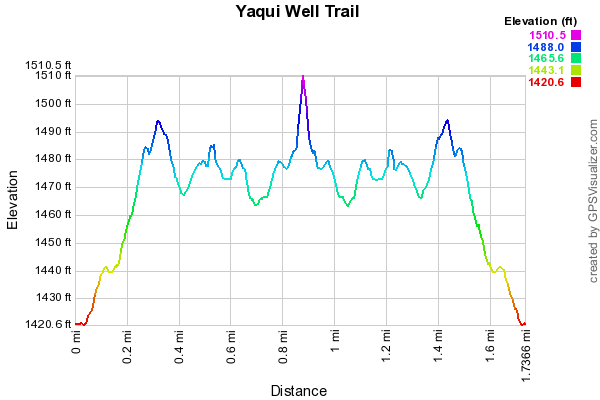 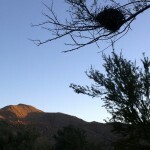 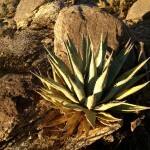 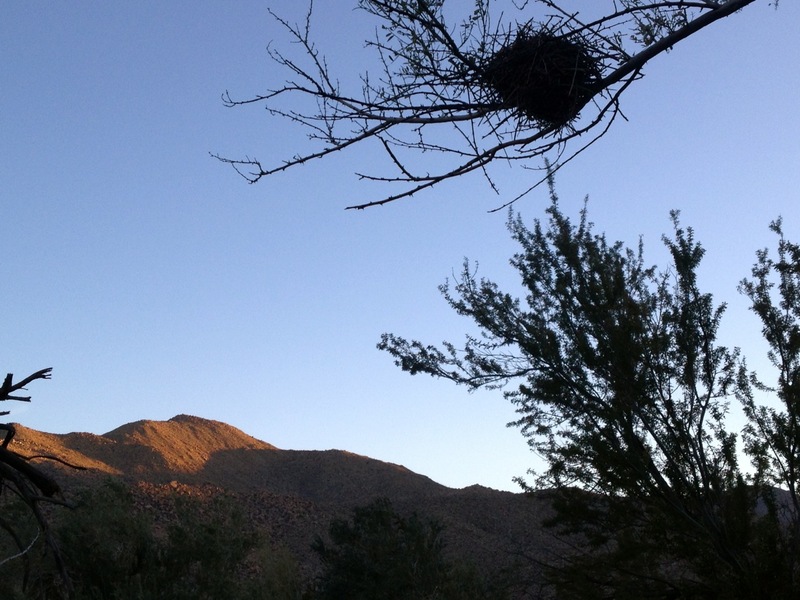 The Yaqui Well Trail is a leisurely stroll through cholla, ocotillo and agave on your way to the more dense vegetation around the well itself, which was a vital source of water to the Kumeyaay tribe that once inhabited this portion of what is now California’s Anza Borrego Desert State Park. 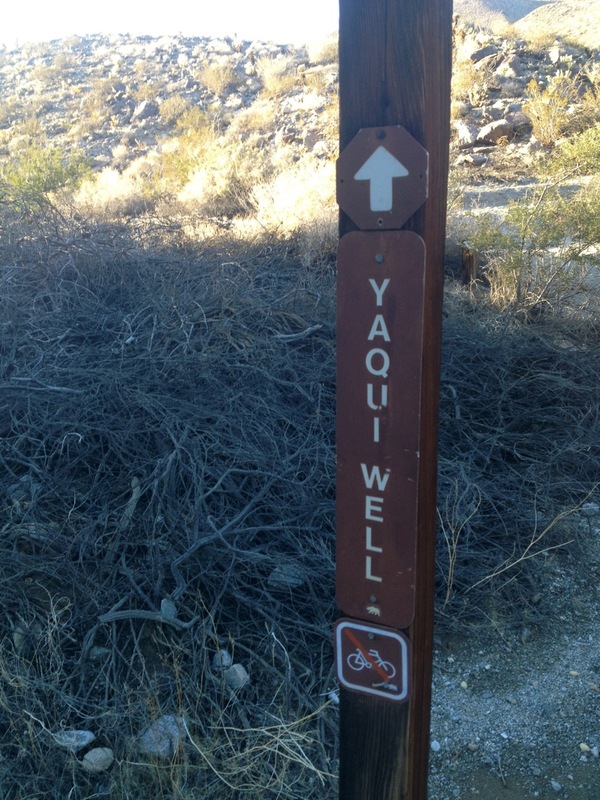 The well-marked trail starts across the street from the Tamarisk Grove campground and is an easy walk that reaches the well after about a mile. 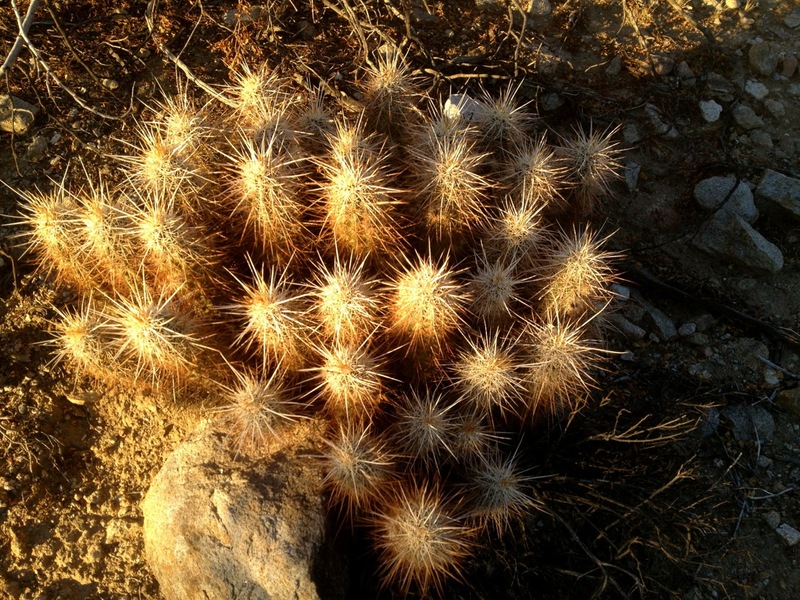 Brochures at the trail head describe various features of interest along the trail. 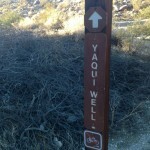 The well itself is marked only by a sign among the greenery saying it’s closed for restoration.